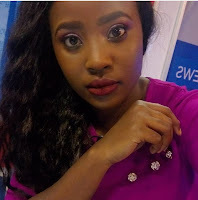 Friday, February 08, 2019 - SK Macharia owned media house, Royal Media Services, has flexed its financial muscle again and poached a top news anchor from KTN. The Kenyan DAILY POST has learnt that Zindzi Kibiku, who recently quit the Mombasa Road based media house, is headed to Citizen TV to fill the void left by Joey Muthengi. Zindzi has been co-anchoring the Morning Express show with Michael Gitonga.